The Texas Department of Public Safety (DPS) seized close to seven pounds of cocaine Monday, after a Texas Highway Patrol Trooper stopped a vehicle in Carson County. At approximately 1:55 p.m., a DPS Trooper stopped a 2004 Ford Excursion traveling east on I-40 near Conway for a traffic violation. The Trooper then discovered a tape-wrapped bundle of cocaine concealed inside the front axle. DPS Special Agents and Drug Enforcement Administration (DEA) Special Agents were contacted to assist with the case. DEA Special Agents arrived on scene and adopted the case. 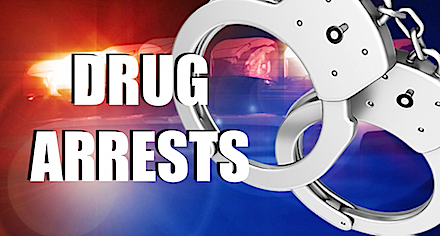 The driver – Jaircinhio Sempoalt-Camacho – and passenger – Samuel Ibarra-Hernandez – were arrested and charged with felony possession of a controlled substance. Both Sempoalt-Camacho, 44, and Ibarra-Hernandez, 64, both of Mexico, were transported and booked into the Randall County Jail. The drugs allegedly were being transported from Mexico to Toledo, Ohio.